Opens, aligns and clears aura bodies, opens energy blocks and fills the hara line with light. Aids in connecting with angelic and other universal beings. Expands the knowledge of our souls structure and heals at the core level. Scolecite has an Orthorhombic crystal system and is in the family of silicates and has typical zeolite associations. It is a close relative to Natrolite in that it is the calcium equivalent. It forms in sprays like many zeolites and is found much of the time side by side with Natrolite. Its name is derived from the Greek word for 'worm' because it is generally fused with volcanic, wormlike extrusions. Scolecites coloring is generally clear to white. It has turned out to be relatively abundant in Denmark, Iceland, India and Brazil. It is found in deposits where it has formed sprays as long as six inches. In its tumbled form, it first appears to look like it could be Rainbow Moonstone or Selenite. 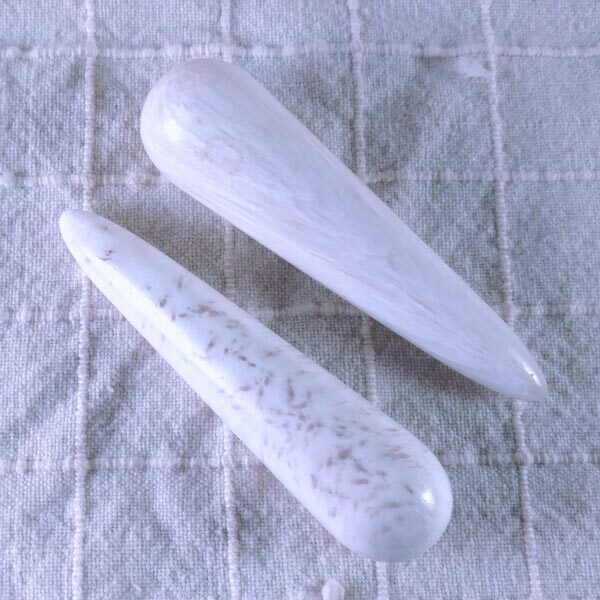 But it is harder than Selenite, and there is none of the 'flash' of Moonstone. And when held, it has a completely different feel in its energy. I had read that it enhances the dream state and tried it for myself. It does appear to facilitate dream recall and lucid dreaming as well as restful sleep. I found it quite inspiring wearing a piece I had wire wrapped as a pendant during the day or while sleeping. 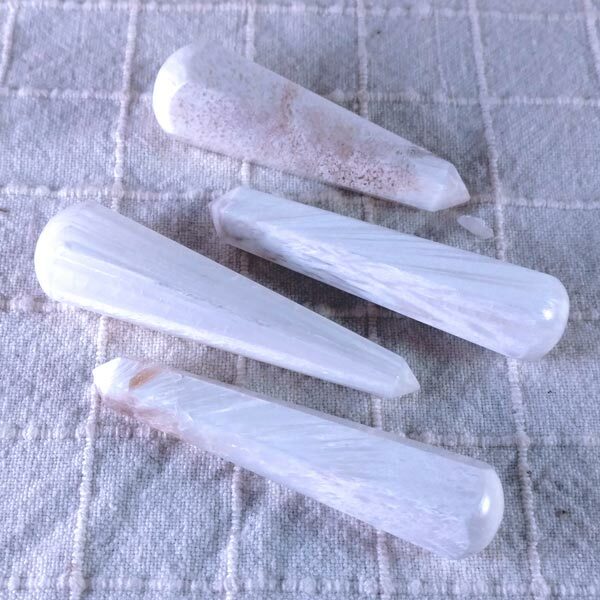 Scolectite is useful in opening communication at the spiritual level. The information it provides seems to be obtained from very ancient knowledge. Scolectie seems to get to matters of the heart in that it assists in getting to the root of a problem and transforming it to love. Scolecite promotes the creation of a preferred reality. It provides an energy that seems to bring all of our loose thoughts together for a single purpose. 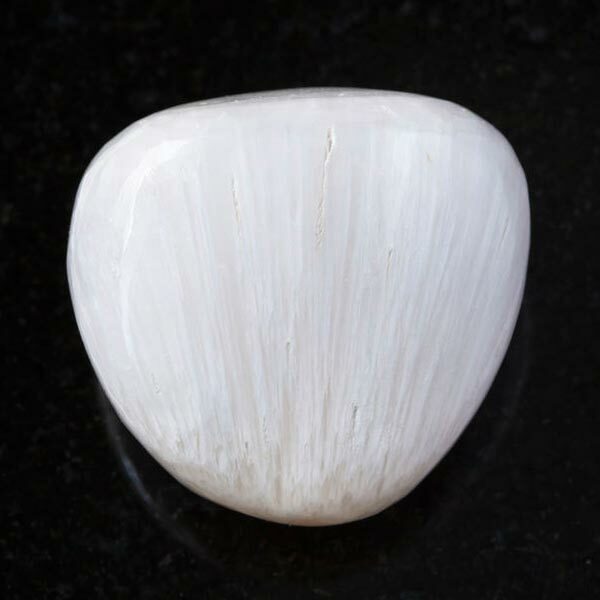 Scolecite has been used to rid the body of parasites, treating intestinal disorders and for spinal alignment. 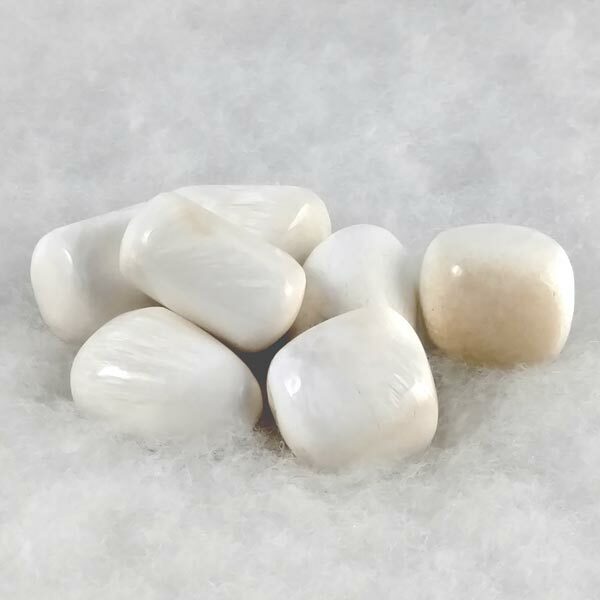 Scolecite is especially beneficial to Capricorn. It's Energy is Receptive, its Planet is the Moon and its Element would seem to be Spirit. For myself, it came into my life at a time I was ready to create my preferred reality. I have found absolutely no folklore on this one. I think perhaps this may be due to the fact that it is quite spiky in its natural formation, and the tendency with most folks, as with myself, is pretty to look at...but...not sure if I want to play with those spikes. I did find that it assisted in connecting with very subtle messages from my subconscious, and the longer I wore one, the more clear the messages became. It also seemed to align the higher non-physical chakras as well as the physical ones.